I am not your admirer; neither was I an admirer of your mother’s Presidency. But I am a proud Filipino; and if for that alone, I watched your inauguration on television yesterday. I know, to you, I am a nobody who does not have a face. But I am a citizen; for that alone I am entitled to write to you and say that you have six years to make me admire you! In fairness, you started winning me over by arriving early at the venue. I so hate tardiness because it is unprofessional and inconsiderate. Because of that, plus 5 ka na agad sa akin. Kayâ lang, sino ang events planner mo? What were those three grey-haired gentlemen doing onstage? They looked straight out of a Steven Spielberg movie! So many of your constituents are bagets; what point were you trying to make by bringing in the Jurassics? Moreover, they sounded like they had lost their melodies forever! They did not sound pleasant at all to the ears the way they did when they were still in their prime. Are they so old they cannot see anymore? Pumunta lang sa kalye, there’s the tiny schoolboy trying to earn some baon by selling newspapers; an old woman selling nilagang mais or manî; or an elderly man going from house to house selling tahô. Sikap naman is not the issue; opportunity is – or, rather, the absence of it. Now, why were you grinning from ear to ear when Ogie Alcasid came in to sing, “Kay Noynoy mawawalâ ang hirap”? Does he think of you as David Copperfield now, a master illusionist who can make poverty disappear? That was as poor a song choice as I ever heard of one. The poor may not have money; but they are not stupid. They know life will have changed little six years from now, but will cherish any sort of improvement. What is the point, then, of trying to raise false hopes by way of song and rhetoric? For your choice of entertainment, minus 5 ka! Fire your coordinator! But that is not the point; I am a patriotic Filipino, so I was edified to hear you speak to your constituents in the National Language. I think, with that gesture, you made the point loud and clear that you were addressing the Filipino Nation – even if you were being beamed worldwide via satellite and cable TV. Bravo, Mr. President!!! The initial part of your speech was on the lame side... I do not blame you for your references to your late father and mother. Had you said one more word about the diktadura, though, I would have switched the TV set off. You were beginning to sound as tiresome as your mother did in the speeches she delivered during the latter part of her faltering – albeit, admittedly honest – Presidency. Then, you started talking about cutting down red tape to attract investment and tourism; continued to expound on your vision of creating jobs. Suddenly, you started to sound like a man who knew what he was talking about! If you are President naman kasi, you cannot keep pointing your finger at what others failed to do during their incumbencies when you are in the best position to do something about any issue, abject though it may be. Presidente ka eh! Hayaan mo na ‘yung nakalipas! Live in the present and do what you can because you only have six years! If you do not already know, time – indeed – flies! That was why I was elated when you started talking about leveling the playing field in the world of business. Business brings opportunities and, therefore, more hope than any poorly-chosen Ogie Alcasid song. You just have to find a way to ensure that whatever benefits are gained due to improved infrastructures and the business environment trickle down to the masses; else the rich will only become richer and the poor poorer. I admire your generosity towards those who had hurt you; kayâ lang, did you have to mention that statement “You cannot have reconciliation without justice” churva? I felt that was not just a bit threatening; and therefore inappropriate for an inaugural speech. I mean, the challenge to leadership is always how to get people who do not think alike with the incumbent to work productively with him. Why alienate certain sectors – and personalities – when the day was about unification? This is in no way to condone past wrongdoings. Kung sa akin lang, I would have worked quietly behind the scenes; gathered the facts and the evidences; and then come out when I have everything I need to put the guilty away till it is time for the maggots to feast on them. Not make ill-advised pronouncements in an inaugural speech that only forewarned those you were referring to that they should speak to their lawyers already to start looking for loopholes or start hiding evidences. 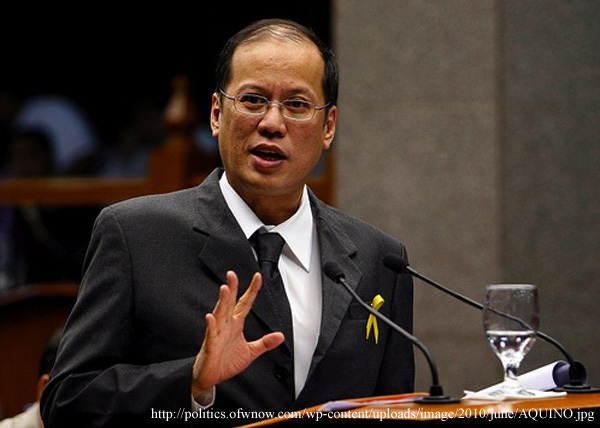 You must also remember Noynoy, isang bala ka rin lang! You might have won admiration for that line; but you also gave your enemies time – and motivation – to start sharpening their knives. A martyr is still very much a dead martyr. 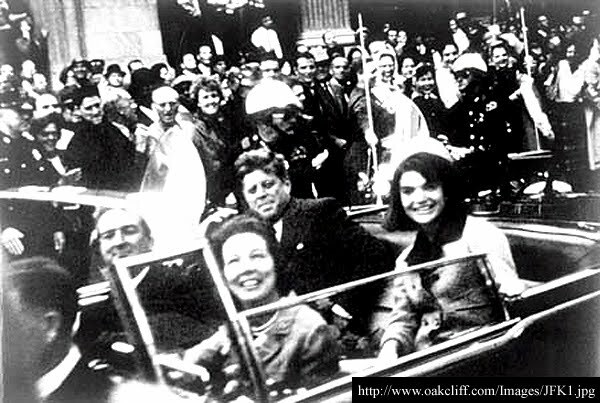 If a popular American President like John F. Kennedy could be gunned down in broad daylight, so can you! What good would the agenda that you so eloquently outlined in your speech be if you lay next to your mom and dad at the memorial park? Sabi ngâ ni Ate Ludz, "Carefuuuuullllll..."
I loved it that you included Education among your priorities. Money is not the only root of all evil; sometimes schools can be, too! Because schools are in the business of dealing with the young, they can, to a large extent, determine whether it is the good or the evil that is perpetuated! I just wish you could have been more explicit in outlining your agenda in terms of population control, agriculture and the environment. How do you propose to stimulate farming so we do not have to import rice from Thailand? How do you face up to the Church on the thorny issue of birth control and the 80M plus population? 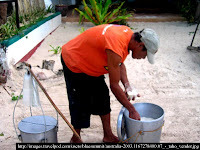 How do you deal with environmental degradation in these beautiful 7,000+ islands of ours? Your “kayo ang boss ko” sounded like great newspaper headline material. Had Abe Lincoln been present – and presupposing he understood Pilipino – he would have applauded you! In a nutshell, you captured the very essence of democracy. A word of caution, though... While listening to feedback is native to a democracy, you cannot listen to every Pepe and Pilar who has a gripe – else you will never get anything done. Most of the gripes will be self-serving, to begin with! You will have to learn – quickly – how to separate the gold from the garbage; and to make decisions for the greater good of all rather than the good of a few noisy groups or individuals. In short, you will have to find the right people to listen to! Frequently, it is the silent who are rational; and they are not heard because they just go on with the daily grind. These are your respectful citizens, and it may have to be you to ask them to tell you their thoughts. You may be surprised to find they make more sense than your noisy minority. Your hand salute to the AFP top brass and troops was excellent! Nag-ROTC ka dati, ano? Coming from a military family as I did, I appreciated that! Your troops would have noticed and appreciated it as well. Try to remember that you are Commander-in-Chief. You must keep your military in line, but never alienated. Else, as your mother discovered, you will come to the conclusion that the institution has more than just a little say about your Presidency. Goose bumps ako when you were inspecting the troops. You looked simpatico! Carry na carry mo, if a bit sakang ka maglakad... Sabi din kasi ng ilang TV commentators, kubâ ka raw dati... Maganda na raw ngayon ang tindig mo! There is also something seemingly more authentic when it is a male Commander-in-Chief inspecting the troops. But then, this is just me... I tend to be old school in many ways. Good luck na lang in your crusade against corruption. May the force be with you! You will need it as much as Luke Skywalker did. As you probably know already because you are no novice to government, corruption is very much built right into the heart of the system. If I’m being honest again, I do not really expect this letter to ever land before your eyes. Not that I really care, because I wrote this to put your Presidency in perspective inside my head. You did well in your inaugural rites. Now, go enjoy 99 more days of your honeymoon with your Nation. And six years to make good your promises... Sa ngayon, pang-Dean’s List pa ang grade mo... Stay the same in your convictions when the major subjects come! Rhetoric is always easy; results are a little harder to come by. P.S. Bakit kayong mga Atenista lagi Lasallista nilalagay sa Dep-Ed?